FOR IMMEDIATE RELEASE – Washington DC, September 2, 2015 – Britches of Georgetowne, the brand that brought reinterpreted American classic fashion to millions of elite and aspirational customers is set to return to the international marketplace. Co-founder of Britches of Georgetowne Rick Hindin and Stephen Wayne, Chairman of Stephen Wayne & Associates entered into an agreement to license Britches of Georgetowne branded products worldwide. “Heritage Brands are in high demand in today’s marketplace and the Britches of Georgetowne brand, one of the most iconic brands in the menswear industry for over three decades, meets that criterion,” Wayne stated. Steven Wayne & Associates (SWA) has become best known for licensing such great names and companies as Sasson Jeans, Bum Equipment and Rampage all of which faced bankruptcy. 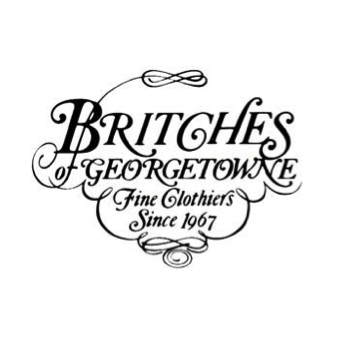 Established as “fine clothiers since 1967”, Britches of Georgetowne ultimately grew to 197 stores in 27 markets, with sales reaching $200 million. “Known for high quality and extraordinary value, the Britches brand became a major force in the men’s fashion industry for over 30 years.” Wayne said. More than just a fashion menswear retailer, Britches of Georgetowne became a powerhouse in “lifestyle merchandising” and was among the first menswear retailers in the country to create a marketing platform for a wide range of upscale, private label lifestyle merchandise in addition to selling menswear. Sold in 1988 to CML, a New York stock exchange conglomerate, Britches of Georgetowne’s co-founders, Rick Hindin and David Pensky, left the company after the sale and retail operations ended just over four years later. Earlier this year, Rescue Dog LLC, an entity created by Rick Hindin, acquired the Britches of Georgetowne trademarks. “The Britches of Georgetowne brand was always conceived as a “Platform” for luxury products at great prices,” said Rick Hindin. In addition to its menswear offerings, Britches of Georgetowne product segments included charismatic gifts and accessories featuring Montblanc pens, Cartier and Heuer watches, Silver Palette Grand Marnier Hot Fudge Sauce, Clyde’s Chili in cans, as well the store published its own Britches International Desk Diary. “The current strategy is to align the Britches of Georgetowne brand with high quality, well established licensees in a wide range of product segments targeted to Millennials and Boomers,” stated Wayne. It is projected that Britches of Georgetowne products will be in major retailers by the fall of 2016. About Stephen Wayne & Associates; Bum Equipment LLC. Stephen Wayne and Associates (SWA) was established in 1986 to represent Iconic Brands in the field of Licensing. Over the years SWA has represented other famous brands exclusively such as Bum Equipment, which he now owns 100% of the business, Buffalo Jeans and Rampage both ultimately sold to Iconix Brands, Bugle Boy and Sasson Jeans, which Wayne owned with Trust Company of the West. Today SWA represents Andrew Fezza, Bum Equipment and now Britches of Georgetowne exclusively. On the retail side Wayne was credited for orchestrating the famous Elton John Tie in with Sasson Jeans when he was President of the company. SWA also represents other brands on a non-exclusive basis as well. Prior to starting Stephen Wayne and Associates, Wayne was President of Calvin Klein Clothing Inc., and Yves Saint Laurent Sportswear, Inc. for Bidermann Industries where he began his career. Hindin began his career with Lewis & Dobrow Advertising as a teenager in 1961. Six years later, he co-founded Britches of Georgetowne, a popular and upscale retail apparel chain. Under his direction until 1988, “Britches” grew to over 100 stores in seven states with over $110 million in sales. In 1988 Rick acquired a 50% interest in Adworks, a Washington, D.C. based advertising agency. As its President and CEO, he helped grow Adworks from a small, local “creative boutique” with annual billings of $4 million to Washington DC’s largest independently owned full-service advertising, marketing, consulting and research company with billings over $70 million in five years.